Frank's Auto Rebuilders provides I-CAR Certified Technicians that have achieved the highest level of recognition for training in the collision repair industry, modern equipment and a staff that is committed to your complete satisfaction. Frank's Auto Rebuilders offers Paintless Dent Repair the repair process that allows the removal of hail dents, dings and other types of damage from a vehicle's exterior surface panels without disturbing the original finish. Need a car while your's is being repaired? We can arrange a car rental with Enterprise or Hertz for you so that when you arrive you are not without transportation. Frank's Auto Rebuilders works exclusively with Towing Company's that offer towing services in Chicago, Northwest Indiana and the surrounding suburbs for vehicles being repaired at Frank's Auto Rebuilders. 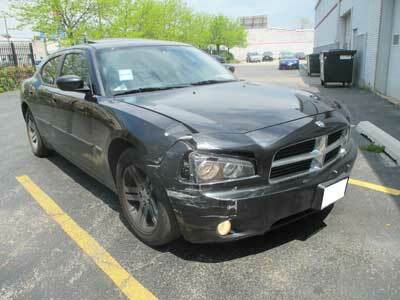 "Our main goal is to get your car back to you in new, if not better condition." At Frank's Auto Rebuilders we perform quality auto body and paint repairs on your vehicle and offer a good customer experience. We take pride in our work and back it up with a lifetime warranty on our workmanship for as long as you own your vehicle.